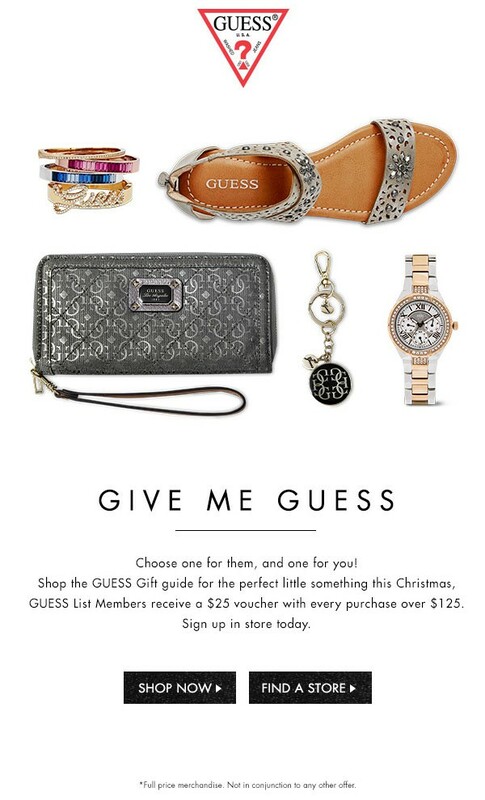 Expired Receive a $25 voucher when you spend $125 at GUESS! Get the perfect gift from GUESS this Christmas. For a limited time if you spend $125 or more you’ll get a $25 voucher to spoil your friends, or....yourself. 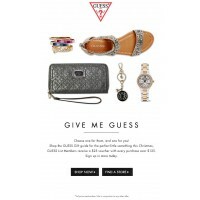 Offer available for all new and existing GUESS list members. See in store (NSW shoppers only) or online for details.